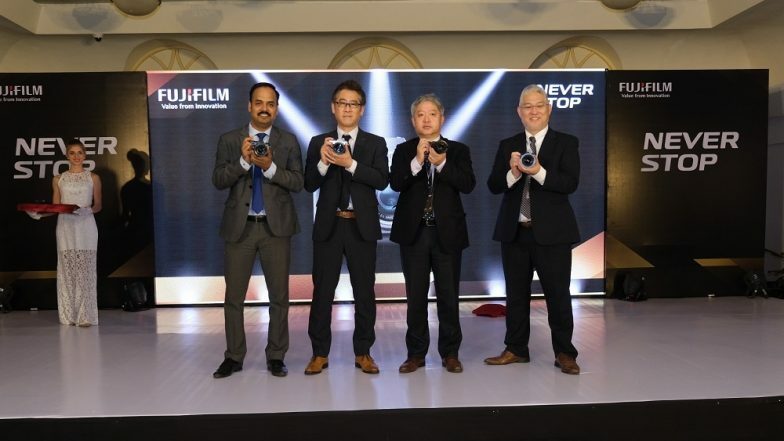 New Delhi, March 18: Fujifilm India on Monday introduced a new mirrorless camera which is equipped with Next-Gen image sensor and processing engine, aiming to achieve 30 per cent share in the Indian mirrorless market in the next three-four years. Priced at Rs 74,999 (body only), the 383-gram, 4K X-T30 camera features the latest 26.1MP "X-Trans CMOS 4" sensor and the fast "X-Processor 4" image processing engine to achieve a superior image quality, the company said in a statement. The X-T30 kit is priced at Rs 94,999 for 18-55mm and Rs 99,999 for 18-135mm lens. Fujifilm Sees Growth Potential in Mirrorless Camera Segment in India. The X-T30 inherits exterior design features of the current model X-T20 while providing excellent operability with a new grip design that enhances stable grip when holding the camera, a touchscreen panel display with improved response performance and the "Focus Lever" that facilitates faster focusing operation.